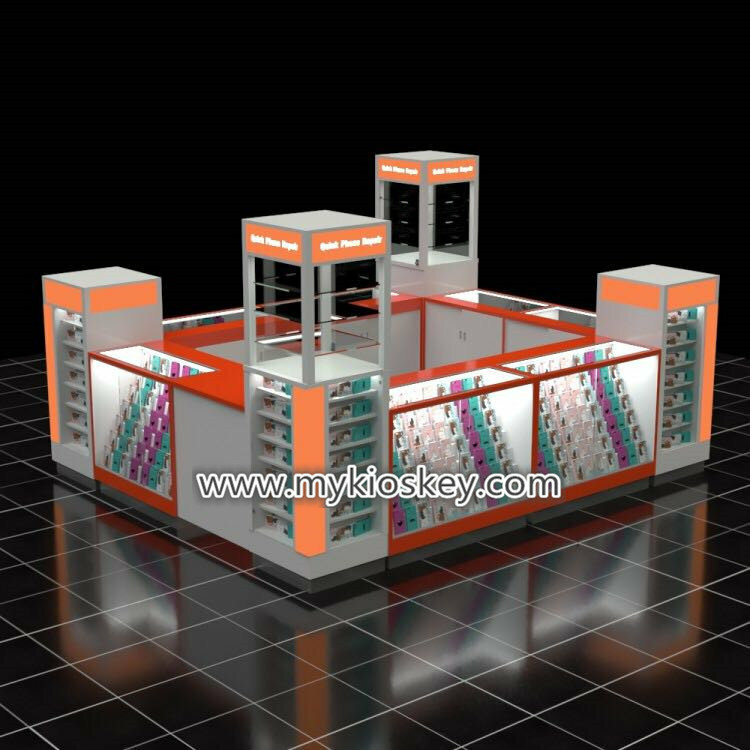 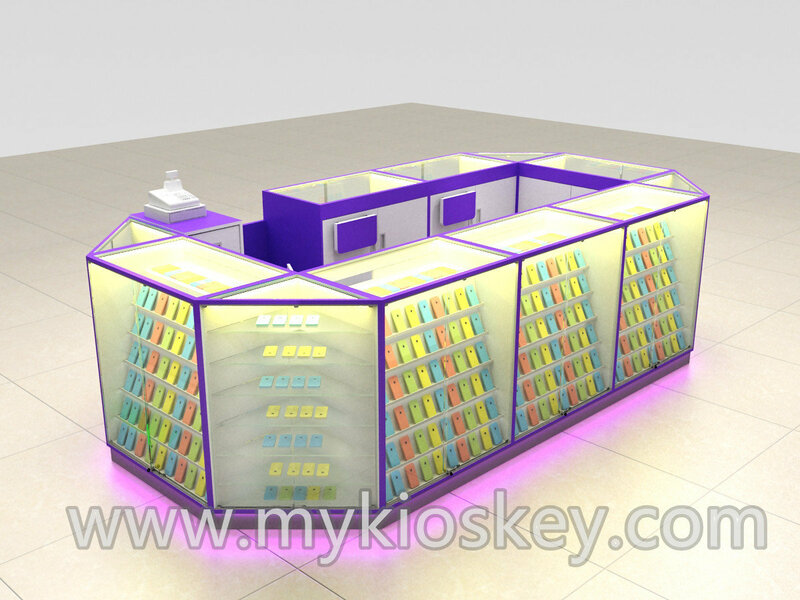 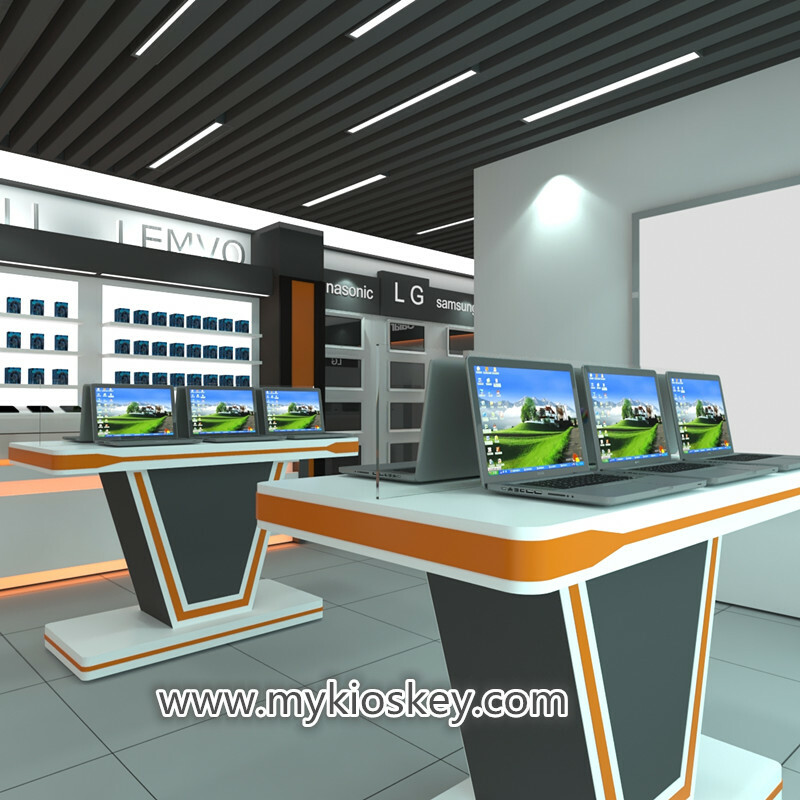 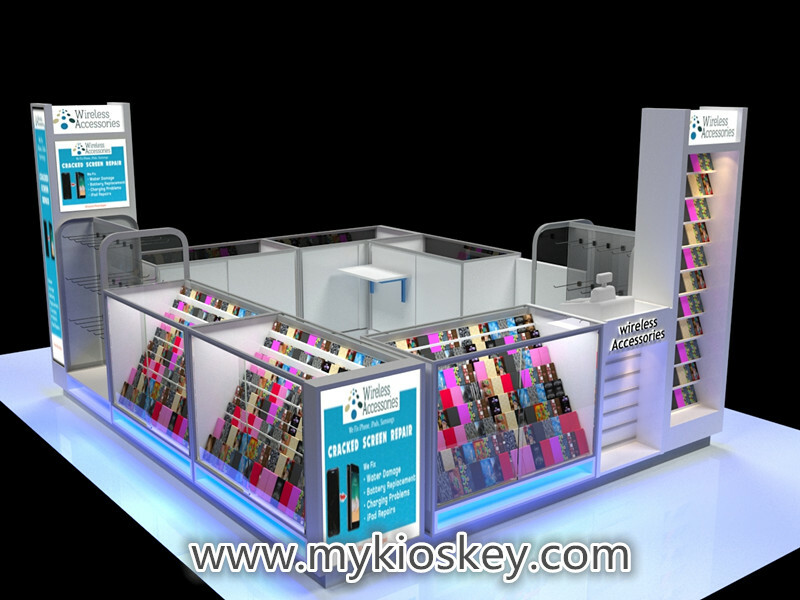 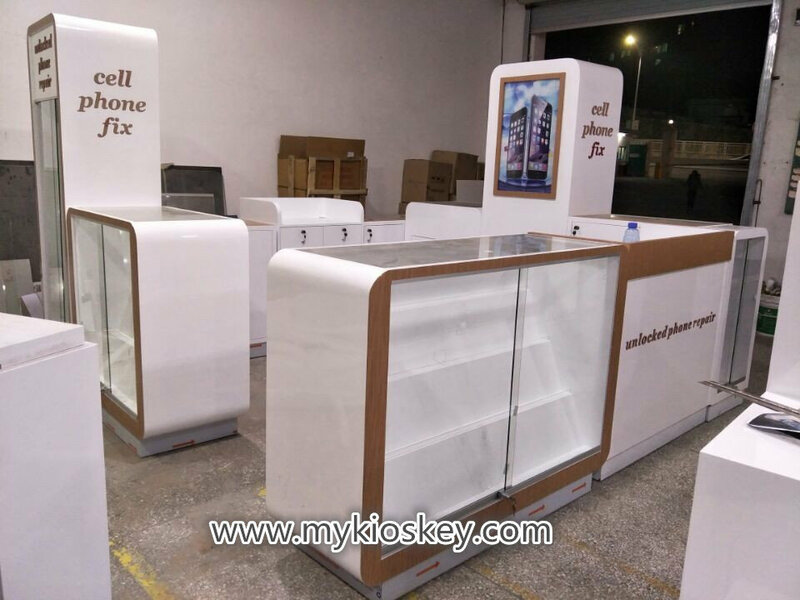 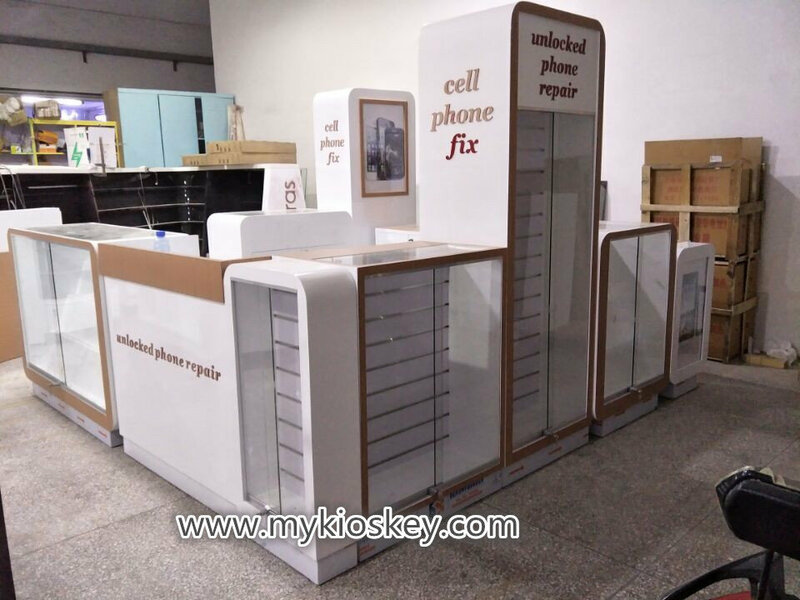 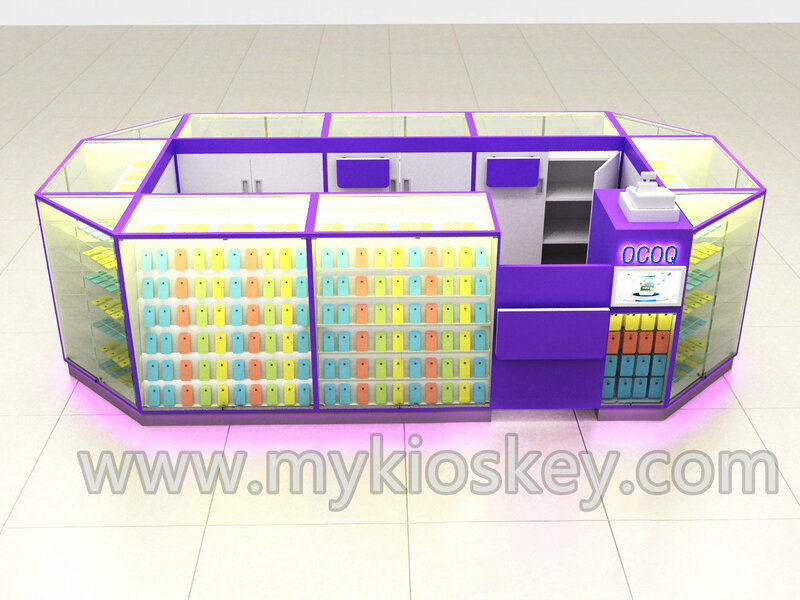 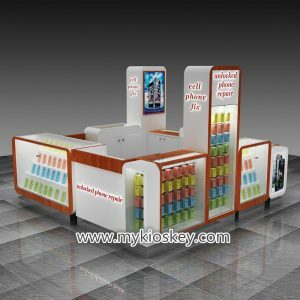 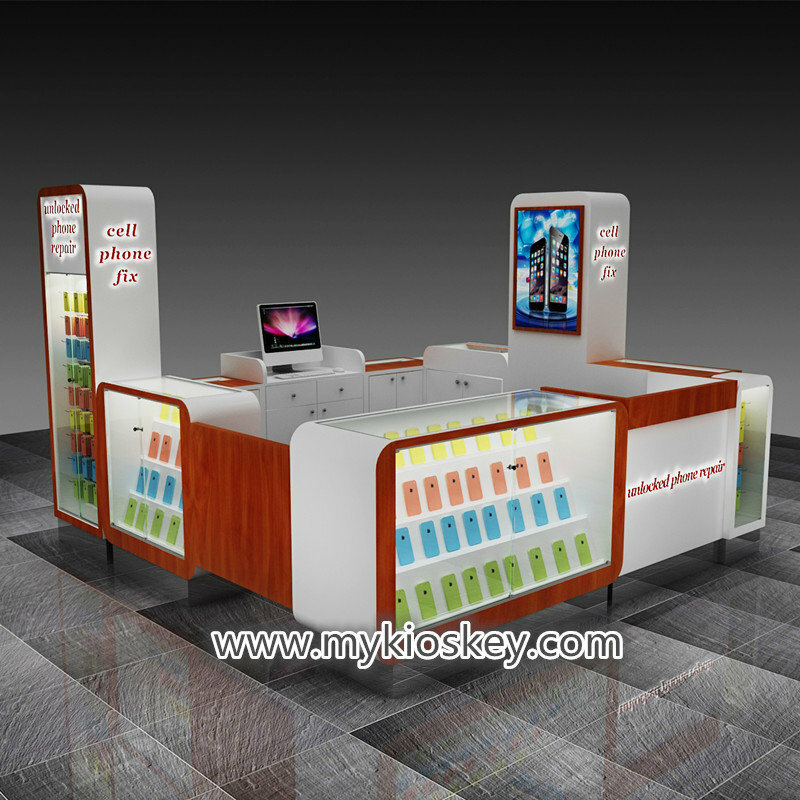 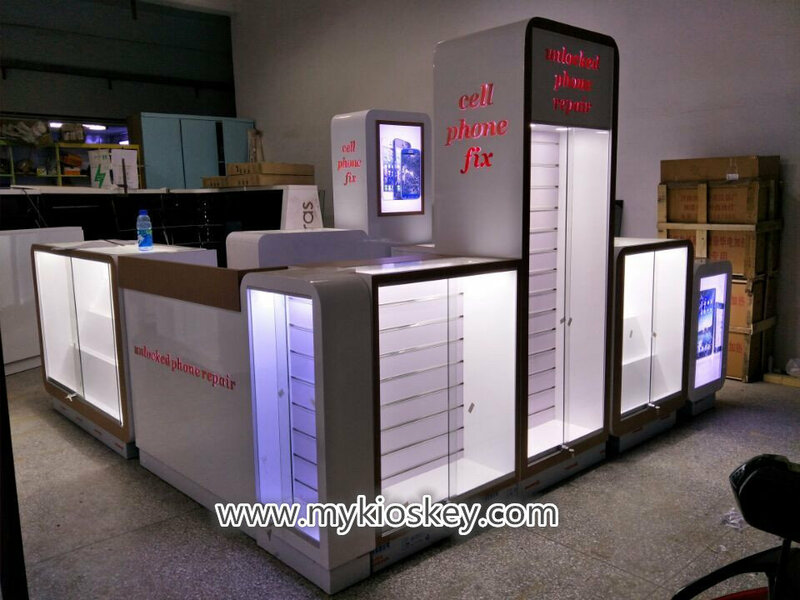 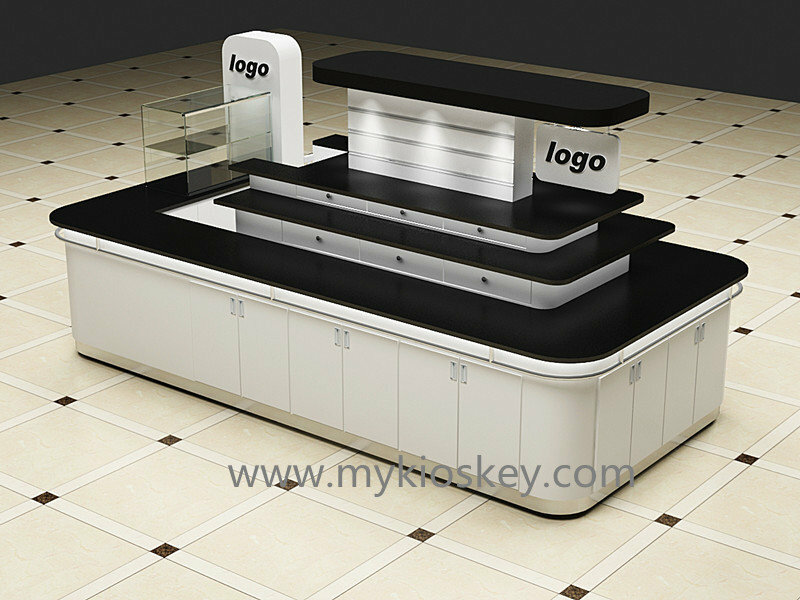 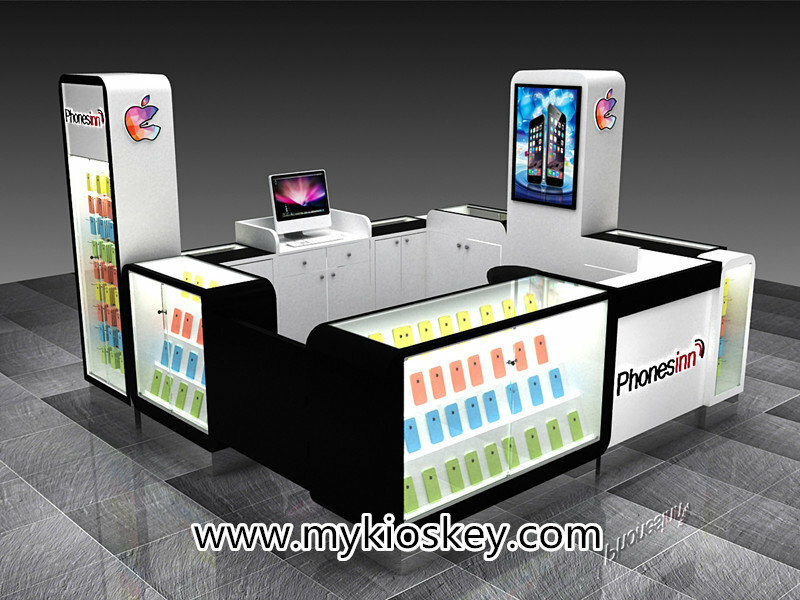 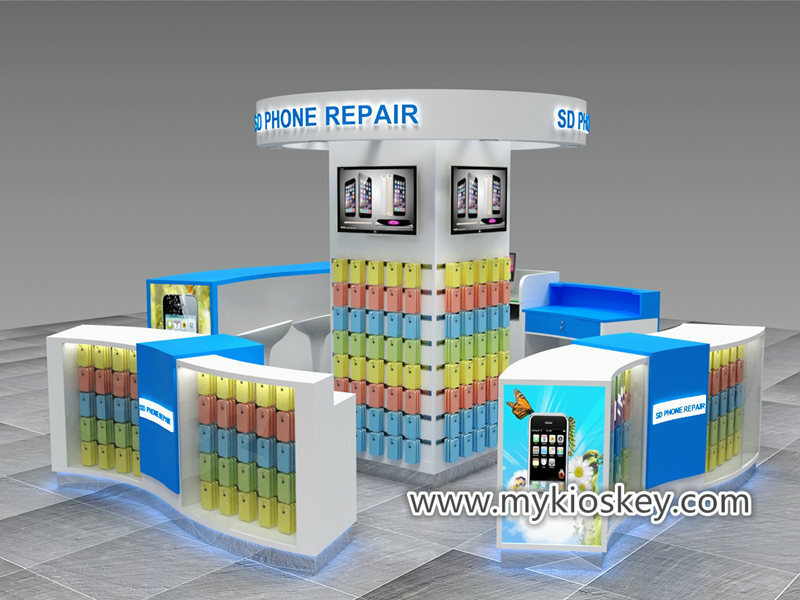 it main is for accessories display, there is wood shelves display and also have slat wall , whole kiosk around all is glass display cabinets , 4 corner we all made radian and it is very beautiful , there are 2 columns , one is for display and another is for TV and logo , very harmonize. 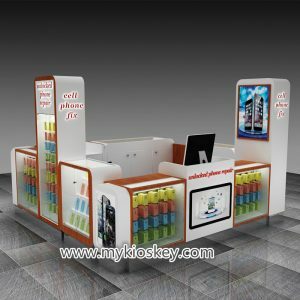 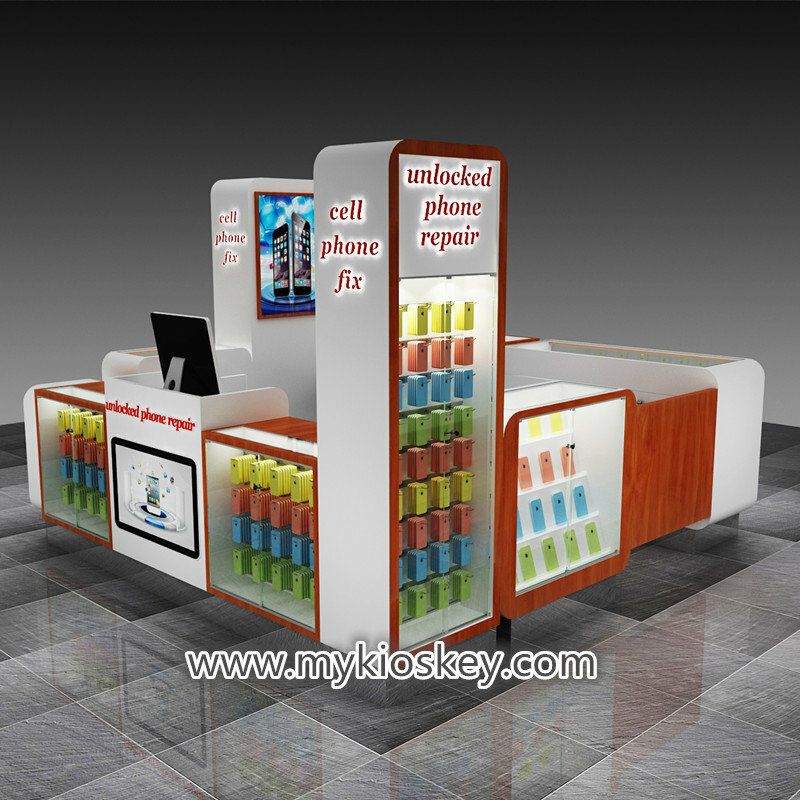 about materials : this set kiosk we use is plywood basic material , surface is laminate . 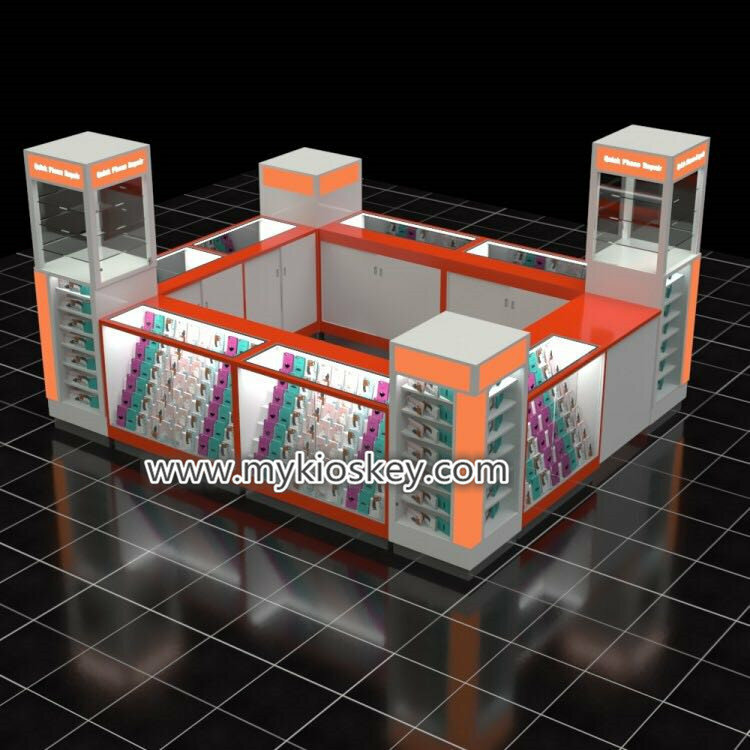 it is very high quality and mall also is very like this kind materials. 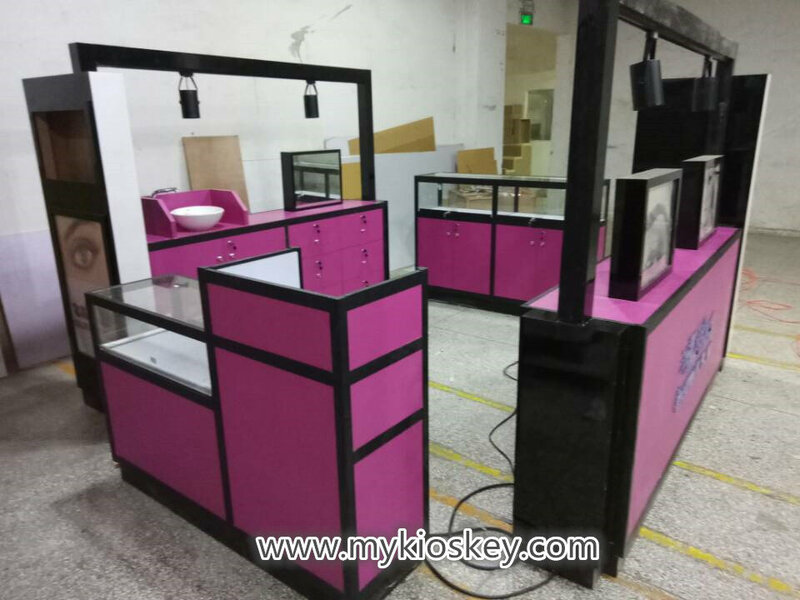 real some production photos ,you can see our quality . 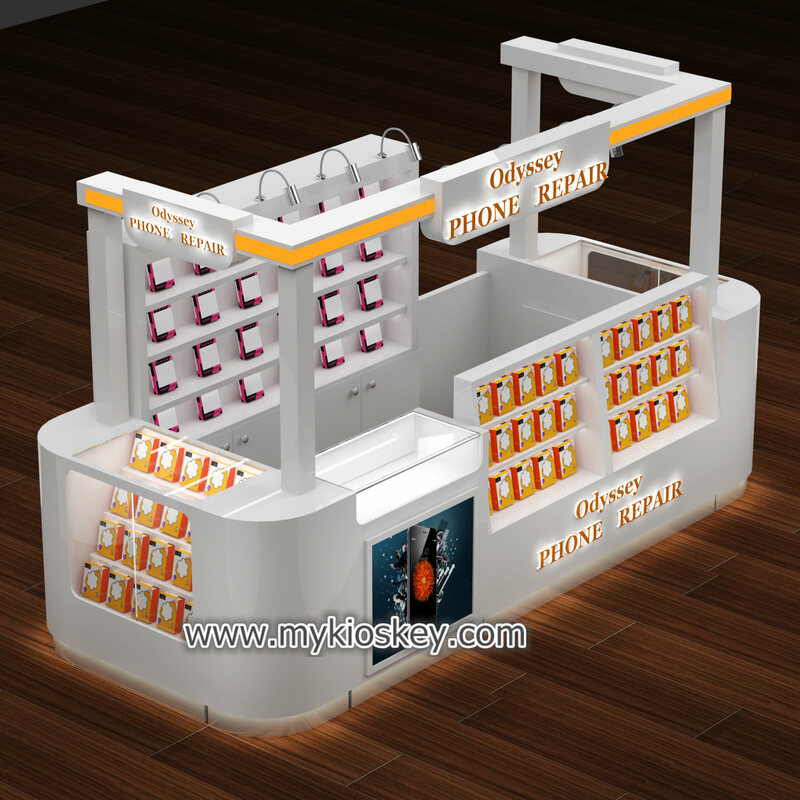 your all needs , if you mall have any requests , we also can meet your mall needs .